This Apex Legends EA Games Hoodie features three legends. Apex Legends has become one of the most popular games in recent times. It was developed by EA Games and has become a competitor to Fortnite. 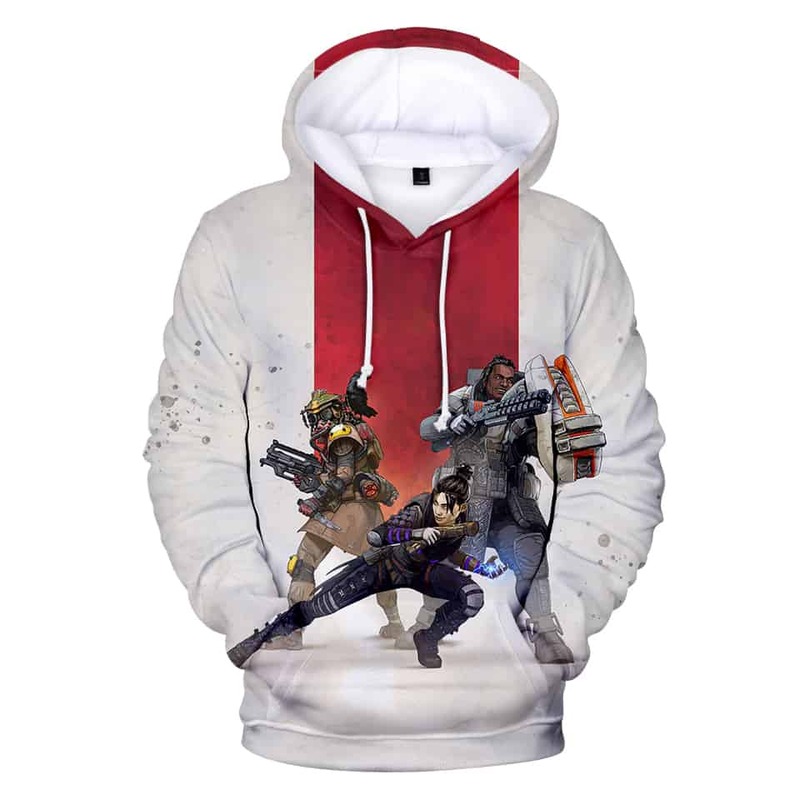 This Hoodie has a white backdrop and features the following Apex Legends: Wraith, Bloodhound and Gibraltar.